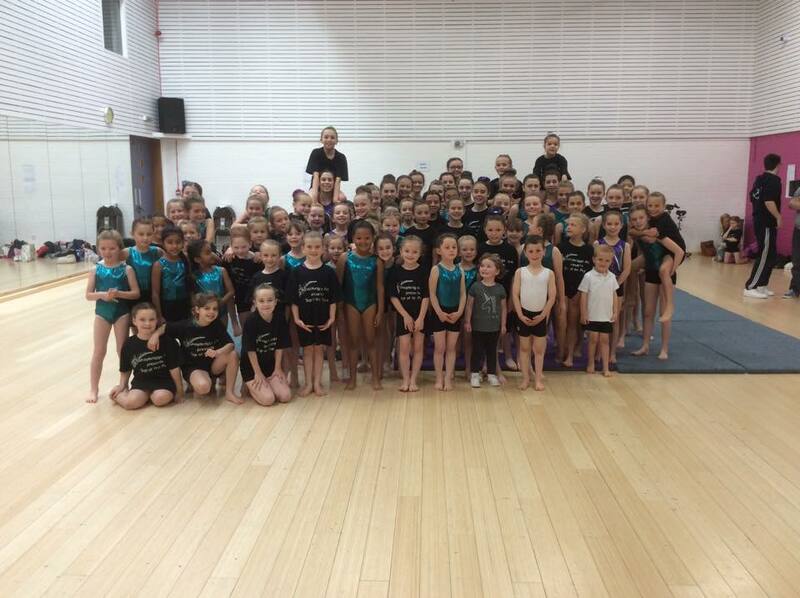 Bishopbriggs Gymnastics club travelled to Perth for the Scottish Tumble Championships on Saturday 22nd October 2016 for their first tumble competition of the season. The club dominated the Championships with an impressive haul of 21 medals. The club dominated in the opening category of the day with Megan Freel collecting bronze and Brooke Peddie and Molly Strang claiming joint 1st position as they were crowned Scottish champions in National 1 9-10yrs. 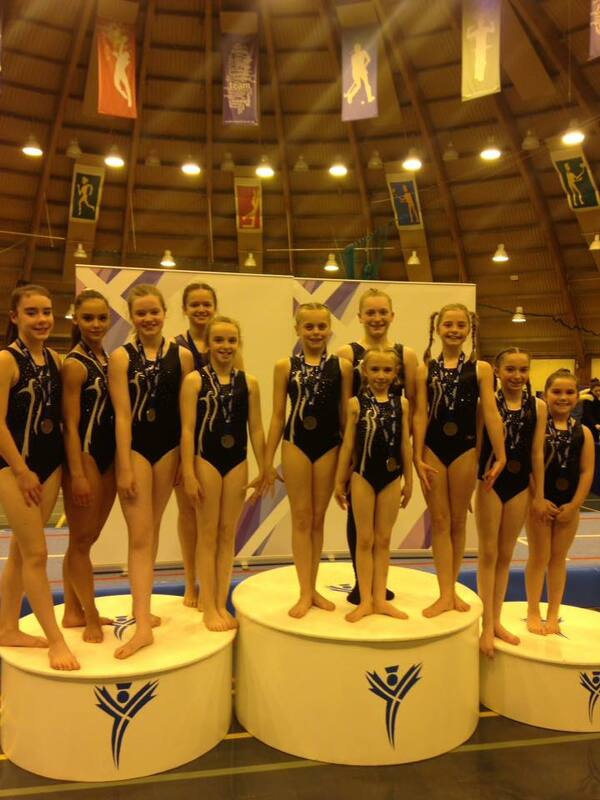 The girls battled through a category of 26 gymnasts to finish on the podium and ensure a clean sweep of the medals. Jade McLetchie and Rachel Hulmes were also gold medal winners in their respective categories. Emily Strang collected silver behind Rachel with Sarah Harper finishing in 3rd place to claim the club’s second clean sweep of medals in a category. The club collected another three silver medals in the morning session with Daniel Geddes, Jordan Ross and Mia Gribbon all finishing in 2nd place in their respective categories. Ellie Lavy finished the morning session in impressive style for the club with three incredible tumbles runs to be awarded the title of Scottish champion at National 5 15yrs+. In the afternoon Amy Gibson and Freya Togher battled it out in the National 5 11-12yrs category with Freya taking the silver medal as Amy became Scottish champion after three solid tumble runs. Further success followed as Tina Hill secured the bronze medal in her category with Amy Hulmes taking the gold medal to become Scottish champion in a very tough category. Holly Kelly and Cliona Friel added to the afternoon medal tally with both taking silver medals after impressive tumble runs. 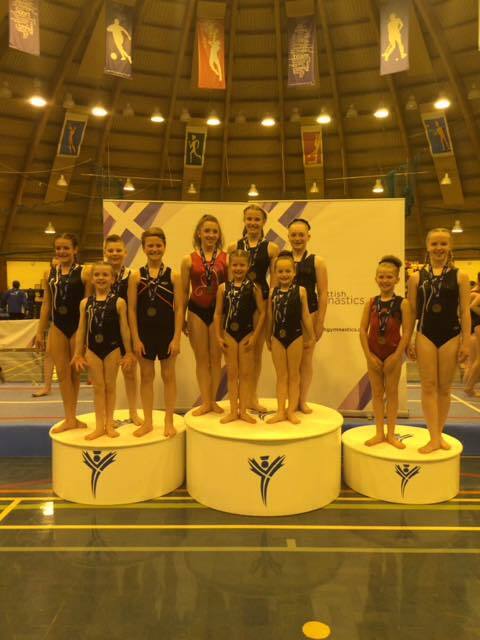 The final tumblers to represent Bishopbriggs were Holly Mardle, Lily Begen, Gemma McLetchie and Jennifer MacBeth who were all competing at FIG for the first time. Incredibly, all four gymnasts finished the day with medals after confident runs loaded with difficult skills. Holly and Lily finished in the silver medal position in their highly competitive categories and showed great determination in doing so. Jennifer took the bronze medal in her category as Gemma became Scottish champion to claim the last medal of the day for the club. The final award of the day was presented to Rachel Hulmes who finished with the top score out of 203 gymnasts competing at NDP level. Rachel proudly added this trophy to her gold medal she won earlier in the day. Ellie Lavy achieved the 2nd highest score of the day with Brooke Peddie and Molly Strang sharing the 3rd highest score of the day. The coaches would like to congratulate the gymnasts on their success.